we need to take responsibility instead of passing it down to our children, as others before us have. Every year we produce about three million tons of plastic. Our economy grew rapidly in the last 25 years and now thrives off of cheap packaging. If you want to eat a biscuit nowadays, we have to buy a biscuit within a plastic wrapper, within a plastic tray, within a cardboard box, within some plastic foil within a plastic bag. People need to be educated on where this plastic goes when we are done with it, what effects this plastic has, as well as what is being done about this topic. When issues of pollution arise, the main response is to leave the solution to our children. Well, here we are, and it is time to bring awareness to this issue. Where does this plastic go when we are done with it? Approximately 1,000 plastic bottles are wasted into our bodies of water per second. These rivers, streams, and channels lead to the ocean. The plastic debris primarily collect at these five rotating currents, called the gyers, where it doesn’t only directly kill sea life, but due to the absorption of PCBs and DDTs, also poisons the food chain… a food chain that includes us- humans. I would like to place emphasis on the North Pacific Gyre, also known as the Great Pacific Garbage Patch. Researcher Charles Moore discovered the Great Pacific Garbage Patch and describes this island of plastic as twice the size of Texas. In this gyre, plastic outnumbers sea life 6-1. Moore also estimates that there is 7.25 million tons of extractable plastic in the top layers of the gyre. That is the weight of 1,000 Eiffel towers floating in the ocean. What are the effects of plastic in the ocean? Most effects are unfortunately negative. 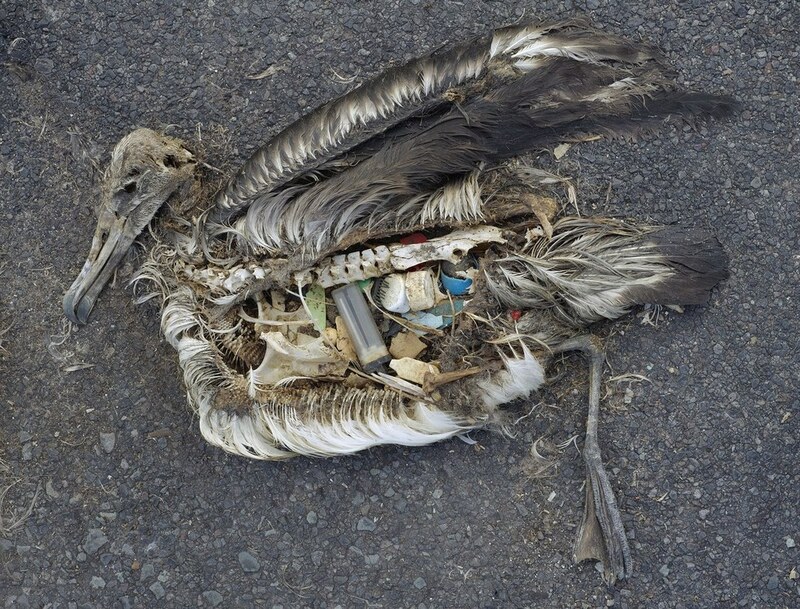 It is approximated that one million seabirds and one hundred thousand marine mammals die yearly from ocean plastic pollution. According to a study done by aerospace engineer, environmentalist, and Dutch inventor Boyan Slat, nearly all Laysam albatross chick- 97.5 percent to be exact already have pieces of plastic already in their stomachs; their parents feed them plastic particles that they mistake for food. 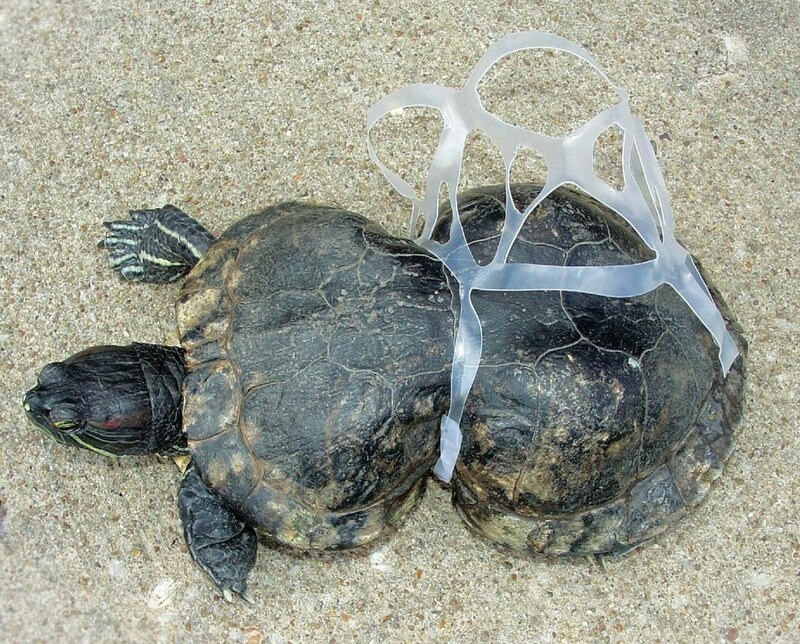 When turtles ingest plastic, they bring a false sensation of satiation that slows and has the possibility of halting reproduction. Plastic also warps their bodies until they die. Approximately 2.5 billion people rely on fish for at least 20 percent of the protein they get from animals. As I mentioned before, synthetic chemicals in plastic including PBCs and DDTs are absorbed by the ocean, which increases the concentration by a million times. These toxins are quickly absorbed into the marine food chain, which becomes an issue when fish in the north pacific ingest 12,000 to 24,000 tons of plastic per year. 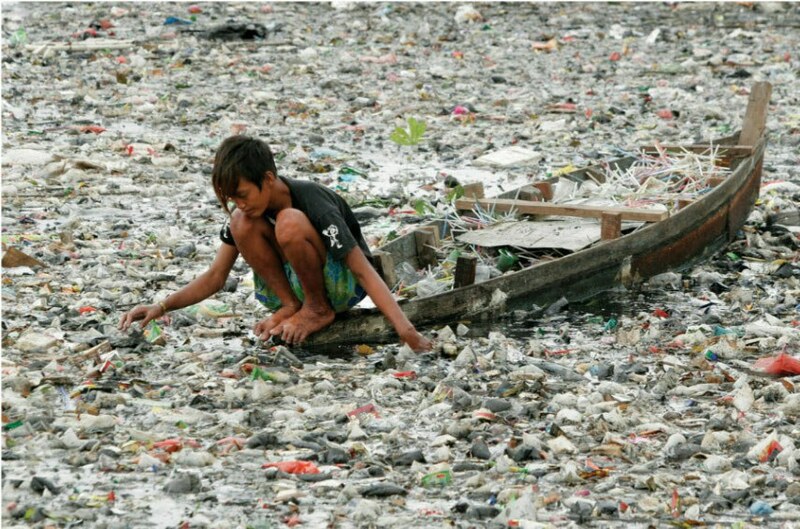 Economically, plastic pollution causes over an estimated $13 billion globally each year. These plastics also cause an approximate $1.27 billion in the United States for fishing/vessel repairs alone. Aggressive actions are currently taking place to either clean the ocean or prevent further pollution. EcoCortec is a company based in Beli Manastir, Croatia, and they have come up with a solution to prevent future pollution. According to EcoCortec, its ‘EcoOcean’ flexible packaging, produced from material made with the latest bio-based PHA polymer technology, is fully marine biodegradable. Even though that this may seem like a feasible solution, manufacturers are quick to point out that marine biodegradable does not necessarily mean marine disposable. Scientists in Britain and the Netherlands have proposed the idea to cut out plastic pollution by the institution of a “circular economy." The basic idea of this concept is that products must be designed with the “end-of-life” reclamation in mind. In the United States, specifically in California, focus has been placed on “structural controls”. This means the covering of gutters and catch basins with screens. 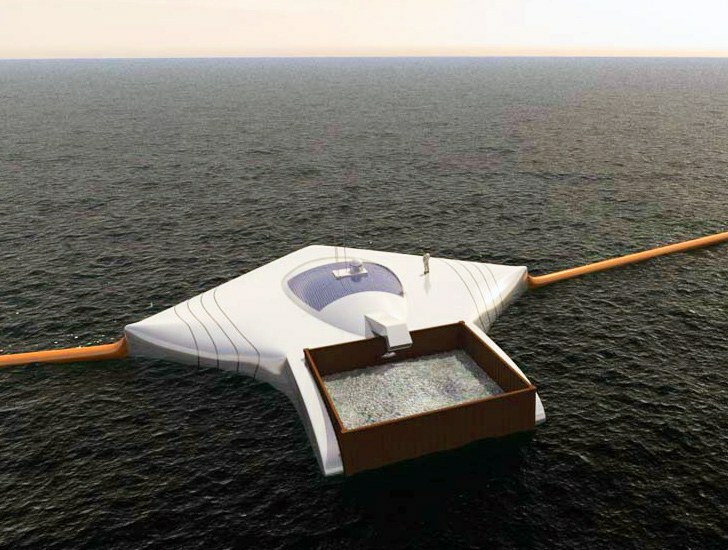 Instead of going out and trying to clean the ocean from plastic, most specifically the Great Pacific Garbage Patch, Boyan Slat considers that we let the ocean clean itself. More specifically, he claims in his TedTalk, “why move through the oceans, when the oceans can move through you”? By attaching many floating barriers with platforms to the seabed, the plastic can be concentrated in one place to make for easier extraction. This process is all natural, as ocean currents and winds dictate it. Another benefit of Slat’s cleanup process is that the probability of by-catch is limited to almost 0 percent, because “… no nets are used, so entanglement is virtually impossible." This claim is supported by the fact that almost all of the ocean currents flow beneath the surface, meaning that they flow beneath the floating booms, which would remove all “neutrally buoyant organisms, preventing by-catch, while the lighter-than-water plastic collects in front of the floating barrier. The Great Pacific Garbage Patch is something that everyone needs to be aware of, as we need to take responsibility instead of passing it down to our children, as others before us have.